Ultimately, we recommend any executives who will be undertaking media interviews to undergo professional media training to hone key messages and delivery – it’s you and your company’s reputation on the line after all – but we thought it would be worth sharing just a few pointers to bear in mind if you’ve got a big interview coming up. 1) Meet deadlines: journalists are busy people and the story they are working on is the most important thing (to them) at that time, respect that by responding to requests in a timely manner, and when a big story breaks make sure you are available. 2) Preparation is key: never ever wing it. Always try and get a full brief on the questions that will be asked, have your key messages ready to go, try and actually practise an interview with a friend or colleague asking the tricky questions. 3) Know what you want to say: shape your message(s), work out what you want to say and how you can say it as simply as possible, always avoid jargon and don’t over complicate. 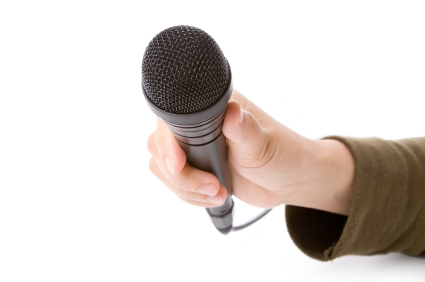 Stay on track with your message(s) throughout the interview and learn how to bridge – i.e. when the question doesn’t necessarily cover what you want to say you can add your own extra bits. For example, “It’s important to remember that…”, “Before we get off that topic, let me just add…” etc. Try and think about two or three key ‘take-away’ points you want the journalist/ viewers/ readers to remember. 4) And how you want to say it: body language and eye contact are important, often (for television and radio) it’s not really what you say its how you say it. 5) Tell the truth: stick to the facts, distinguish between fact and opinion, if you don’t know the answer to something say so. 6) Take written information: reporters often need help putting an issue in perspective, so feel free to provide them with written information to highlight the key facts and figures. 7) Never say “No comment”: if you can’t answer something or choose not to, just give a brief explanation why otherwise it can be a little like a red rag to a bull. 8) Silence is golden: don’t talk to fill any silences, say what you want to say and then it’s the reporter’s responsibility to keep the interview going. 9) Nothing is 100% off the record: it’s worth remembering that a journalist is always on the lookout for the next big story, don’t let your ‘off the record’ comment become that; nothing is ever fully off the record.